As someone interested in but never particularly shocked or surprised by politics and politicians, I have nonetheless been shocked but unsurprised by their response to the 'Brexit' opinion poll. I know that by now - some months after the event - millions of words have already been expended on the 'Hokey Cokey' Referendum (in, out, shake it all about). But in attempting to clarify my own thoughts on the matter - for the record and for the avoidance of speculation, I wished to remain in the EU - I am putting down here a few of my thoughts and gleanings on the matter both on leaving the EU and on the referendum (and referenda in general). I do not take any party political stance here; I hope merely a considered and clear-sighted one. I find myself particularly distressed by the continual assertion by government (and other politicians) that "the British people have spoken", as if there has been an unequivocal statement as to the direction the country should take. In fact, only 37.5% of those eligible to vote stated their opinion that their preference was to leave the European Union, with 34.5% wishing to remain and 28% not taking part. The conclusion that I believe should be drawn from the Referendum - or 'the broad guidance of a plebiscite' as Kenneth Clarke called it - is that 'the British people' are largely undecided, although our elected representatives do not relish 'don't know' as a mandate for government. 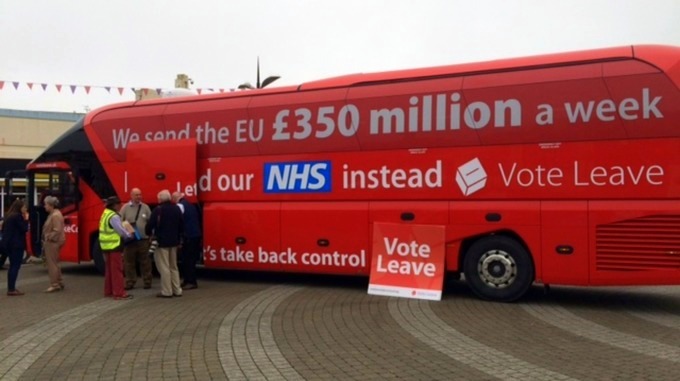 This piece of PR fluff was seemingly taken seriously by many voters, but was publicly disowned by the Leave campaign immediately after 'winning' the Referendum when it was realised that the cost of leaving and making up for the money the EU returns to the UK would pretty much take up the '£350 million a week'. And since then, various experts and commentators have suggested major difficulties for Britain for 10 years or more. Even if the Cassandra-like predictions prove inaccurate, there will be the stresses and anxieties of any major change which could last for decades. Even an amicable divorce can come at a heavy price on health and happiness. In this case our European marriage partners are not likely to give us an easy 'quickie' divorce; even suggesting that Britain must continue to pay into EU coffers for some years after the break-up. Recent research suggests that many who voted 'Leave' were from poorly funded areas in England and Wales; the suggestion being that they were protesting against Government policy, or even about not being heard. If this is true, then many who voted 'Leave' did not vote specifically on the EU issue. Observers claim that this same demographic emerged in the United States, leading to Donald Trump's victory in the Presidential election. Interestingly, had the Americans followed the popular vote as in the 'Brexit' referendum, then Hilary Clinton would be the next American President. Why did we not build a safeguard into the Referendum to ensure that there was a real cry for a break with Europe? The 50% vote for or against is ludicrous ... and I would say it still, even if the result was reversed and Remain had 52% of the vote. It is simply not clear enough; and given that many Leave voters are reported to have changed their minds since the Referendum, it brings the accuracy of the result into question. In Switzerland, where referenda are more common, they take a more stringent attitude to results than we have done in recent times. Professor Anthony Grayling said this (much better than I could) in his letter to Members of Parliament in July 2016. First, in most jurisdictions major constitutional change requires a supermajority or two-thirds majority to effect them (as e.g. in the USA and Germany), whether in a legislature or in referendums. In Switzerland, which alone among developed nations employs frequent referendums in its ‘semi-direct’ democracy, major decisions require a double majority of the electorate and the cantons. For a very major change such as exiting the EU, it is not acceptable to have matters decided by a small simple majority. So great a change requires a significant degree of genuine consensus, at the minimum such as a 60% majority would reflect. Having re-read Professor Grayling's letter for this post, I see that it has been updated with letters from Bob Marris MP, along with the Professor's responses. I find the MP's attitude alarming and irresponsible, in that he appears to be throwing up his hands with a "What can you do? It is what it is." Also, if the Professor is correct in his second point that we are a 'representative democracy' - and I think he is exactly right - then the MP does not seem to appreciate this, and it is worrying for the future of our nation (the United Kingdom in its united or disunited parts), if he is representative of the prevailing view. Perhaps it is that tension between good governance and pleasing the voters. Ideally they should be the same thing, but "politics is the art of the possible, the attainable - the art of the next best" according to Otto von Bismarck. 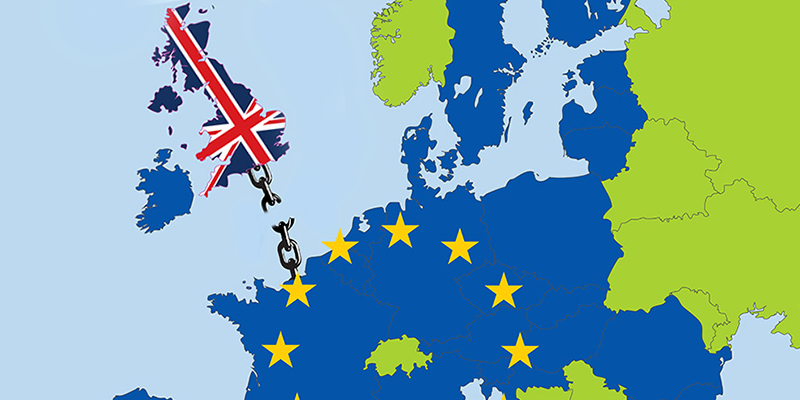 With the 'Brexit' vote, it appears that the Westminster Parliament and the UK Government are attempting the art of the impossible - wanting to withdraw from the EU and continue in the European Single Market, but without agreeing to many of the rules of membership. I do not see Europe agreeing to any of this. The Prime Minister's statement that "Brexit means Brexit" comes into the same realm as "the British People have spoken", this latter omitting to state precisely what it is that they might have spoken and introducing the fill-in-your-own-interpretation-here element. As no one can say with certainty exactly what Brexit means, then to say it means exactly what it says it means renders it meaningless. Theresa May could equally well have said, "I haven't a clue means I haven't a clue", or even "hell in a hand-basket means hell in a hand-basket". All this is strongly suggestive of "Another fine mess, Stanley" and let's buy some time to make all this impossibility palatable. The latest announcement forecast (16th January 2017) suggests our PM is determined on a 'hard Brexit'. Now is this 'hard' as in uncompromising, or 'hard' as in 'brick wall, banging head against'? It seems Herr Bismarck may have been wrong. Politics has become the art of deliberately steering the 'Titanic' towards the iceberg. President-Elect Donald Trump considers it a 'great thing' for Britain. But then, this is a man who distances himself from the real world by talking of himself in the third person - a sort of political schizophrenia. I could continue this rant for some time yet - and I am sure that there are plenty of journalists writing their Pulitzer Prize entries on 'Brexit' and/or the American Presidential Election surprise. I needn't say everything at this early stage in the saga. There will be time aplenty to consider, cogitate and digest anew. Perhaps the Russians did attempt to sway the vote. They could benefit from economic chaos in Europe as well as the USA I have no doubt. All seems a bit clumsy though and too convenient. Easy to punt blame onto an old enemy, but I am no expert. I will say this, however; I do not believe that in all my 60-something years I have never been so distressed and upset about the democratic process and what appears to be a pig-headed disregard of a large section of public opinion - with the possible exception of Margaret Thatcher's imposition of the Poll Tax on the Scots to gauge the reaction before it was rolled out over the rest of the UK. Disaster scenarios are forecast on a daily basis for 'Brexit' and even if only a fraction of them are partly true, we are in for the Cresta Run without a bobsleigh. POSTSCRIPT: The day after I finished writing this, our Prime Minister made a speech from Lancaster House setting out the criteria for the UK leaving the EU. The main thrust of this was to be reassuring to the Markets and Finance people, and Sterling duly rallied to remain up on the day. Mrs May's other points seemed to this observer to merely state what we already knew - that we cannot access the Single Market without freedom of movement of EU citizens, for example. I am an EU citizen at present, and I am happy to note that when I cease to be one, Mrs May would like to negotiate a special settlement to ensure that I can still visit my family in Eire without re-establishing border controls. Not a certainty, but at least an acknowledgement that old Otto wasn't entirely wrong after all. However, I may yet join the throng at the Irish passport office seeking to register my allegiance to the land where more than a few of my ancestors originated. Peace. Out.